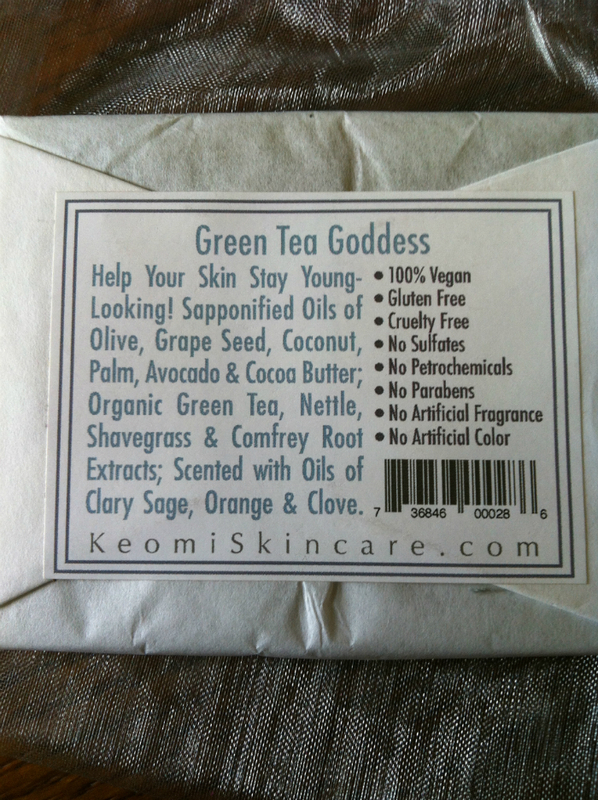 I was given the opportunity to try a sample of Keomi Skincare’s Green Tea Goddess Handmade soap for a review. Keomi Skincare soaps are all natural and have no chemical preservatives, they are vegan and cruelty free. Keomi Skincare uses only the highest quality ingredients available and their products are backed with a 100% guarantee. These are the ingredients of the Green Tea Goddess soap that were printed on the wrapper of the bar I received. I was sent the Green Tea Goddess handmade soap to review. It has a wonderful fresh green scent that can be enjoyed by either men or women. It did not have a sweet or floral scent that men would not want to use. 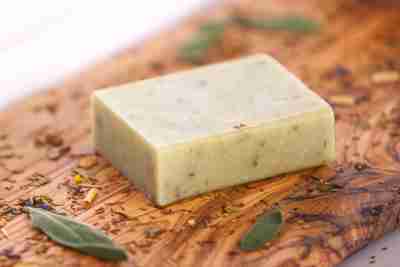 The Green Tea Goddess soap is scented with oils of clary sage, orange and clove, so it has a fresh green fragrance. Keomi Skincare Organic Natural Handmade soaps are cold-pressed and use pure aromatherapy grade essential oils with a base that is a blend of over 10 USDA certified organic vegetable, fruit and seed oils. This is a sample size bar that I received for review. This is not what the full-sized bar looks like. I first tried the soap by washing my hands in the sink. I wanted to see how the soap lathered and how it felt on the skin. There was a natural, rich, luxurious lather because the soaps are super-fatted leaving my hands feeling supple and moisturized. Later that day I took a shower and used my Keomi Skincare soap as bath soap and washed my entire body. Again I got a luxurious lather from the soap. I felt so clean and fresh afterward. My skin did not feel dry and tight, nor was the soap irritating to my sensitive skin. Instead I was left feeling moisturized and with a subtle fragrance on my skin. I do not like strong fragrances as they give me a headache, so I was pleased with the light scent that was left on my skin. I really enjoyed my Keomi Skincare soap and would love to try the other soaps that they offer. Click here for my Amazon.com review of Keomi Skincare. 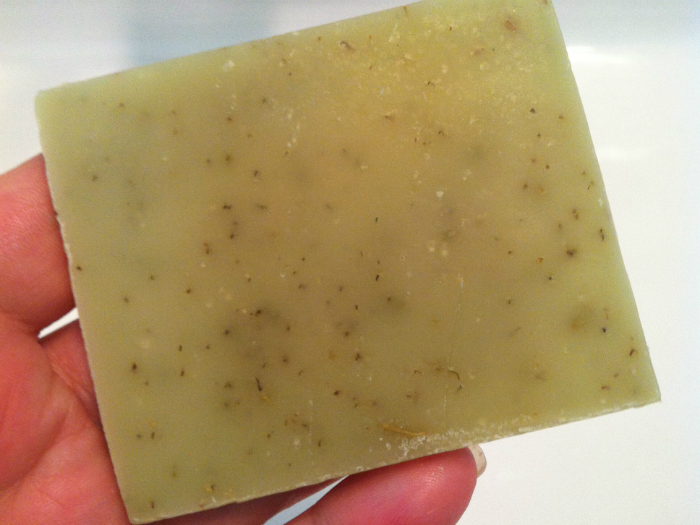 Here is a full sized bar of the Green Tea Goddess soap.